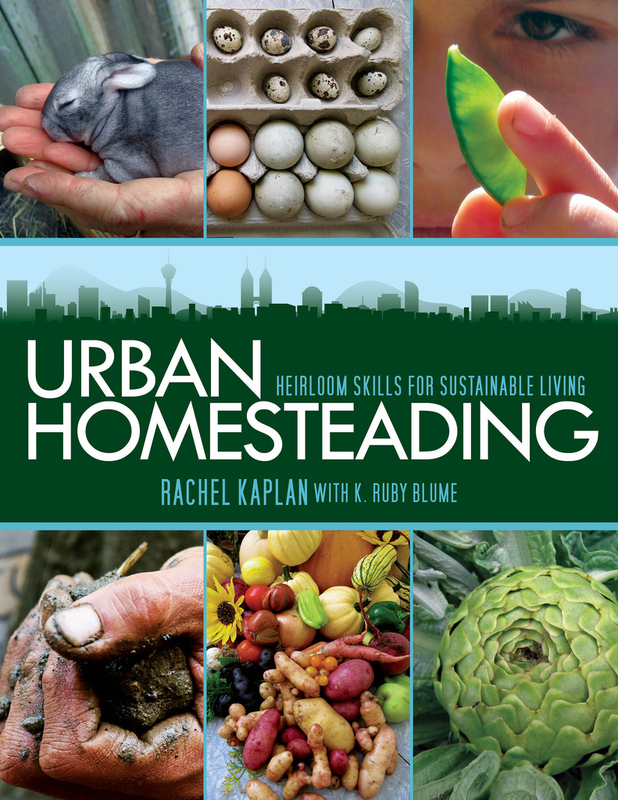 In the few years, Halifax Public Libraries has received a series of new books documenting the urban homesteading movement. 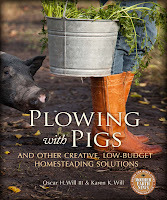 With titles like, Plowing with Pigs: and other creative, low-budget homesteading solutions (M) by Oscar H. Will (2013), and Urban Homesteading: heirloom skills for sustainable living (M) by Rachel Kaplan and K. Ruby (2011), these books carry a lot of appeal to city-dwellers like me, who are interested in learning creative ways to become more self-sufficient. 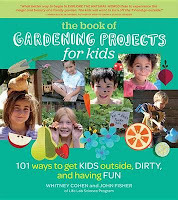 The kinds of skills taught in these books, including edible landscaping and other forms of home- and community-based food production, were not passed down in my family when I was growing up. Although my grandfather was well-known among his neighbours for his inventive reuse of everyday objects, (the semi-practical folk art that littered his property was a constant source of irritation to my grandmother), my own homesteading skills are rudimentary, to say the least. In the interest of reducing my household expenses while improving the quality of the food I provide for my family, I have steadily increased the variety of food that I make myself instead of relying so much on store-bought items. This year, my son and I were fortunate to acquire a small garden plot at a local community garden organized by a group of our neighbours. Since I have very little gardening experience, I have no expectations for this autumn's yield but I hope that by next year, we will be able to produce enough organically-grown vegetables to eliminate at least some of what I would normally purchase at the corporate grocery store nearest to me. Mainstream cultural emphasis on this “new” homesteading vs. the continuity of traditional skills fostered out of necessity erases the history of homesteading in America. When we talk about the mainstream resurgence of craftwork and Pin-able, packageable skills, we need to acknowledge the foundation of these practices as poor skills—survival skills and “alternate” techniques for accessing food, shelter, and power primarily practiced by those with marginal or nonexistent incomes. 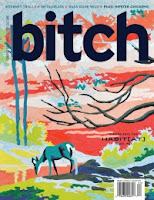 What distinguishes the modern urban homesteading movement from subsistence practices preserved by marginalized communities, Kirby argues, is that it is marketed to affluent individuals and their families. Kirby concludes that when privileged folks are held up as the experts on homesteading skills, the efforts of those marginalized people who have worked to maintain these skills are rendered invisible. 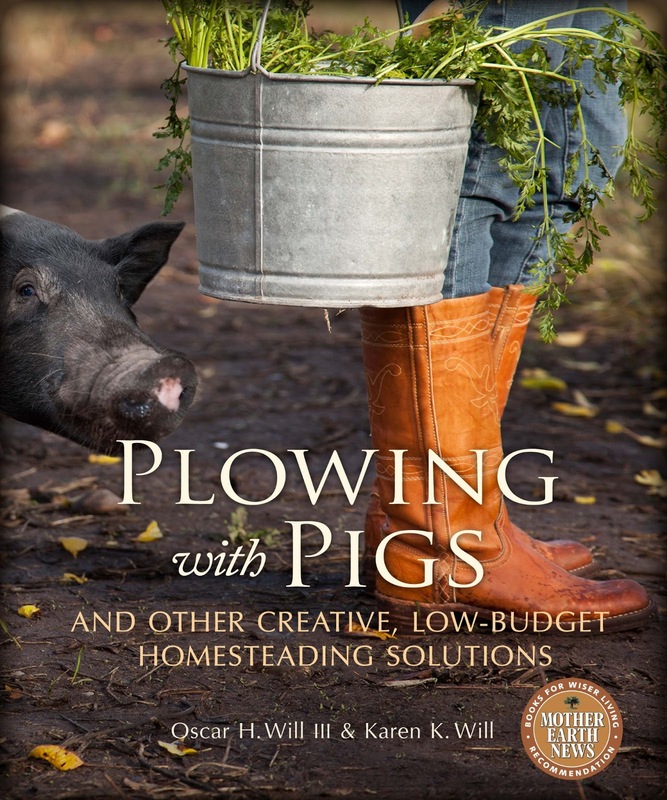 Frustratingly, this trend may actually create obstacles for those people in struggle whose life quality could actually be improved by the knowledge contained in the books and blogs that characterize the urban homesteading movement. 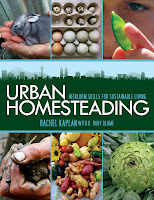 For those of us who share the values associated with urban homesteading - self-sufficiency, environmental responsibility - the Library can be a valuable and accessible resource for taking action. 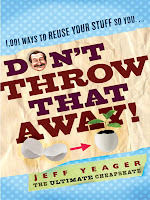 Readers can freely borrow books like Plowing with Pigs and others, like, Gardening Projects for Kids: 101 ways to get kids outside, dirty, and having fun (M) by Whitney Cohen and John Fisher (2012); and Don't Throw That Away (M) by Jeff Yeager (2012). Interest in community gardens in HRM is high and demand is currently outpacing supply. The Library maintains a list of community gardens in HRM in our Discover catalog under "Community Groups/Programs". The friendly staff at the Information Desk of your local branch can direct you to programs and resources (like this one) that can help get your project off the ground. With a little research and a bit of help, your community can transform urban homesteading from a consumer-driven trend to a real social movement that benefits everyone.